Book Your Holiday Yacht Rental Now! 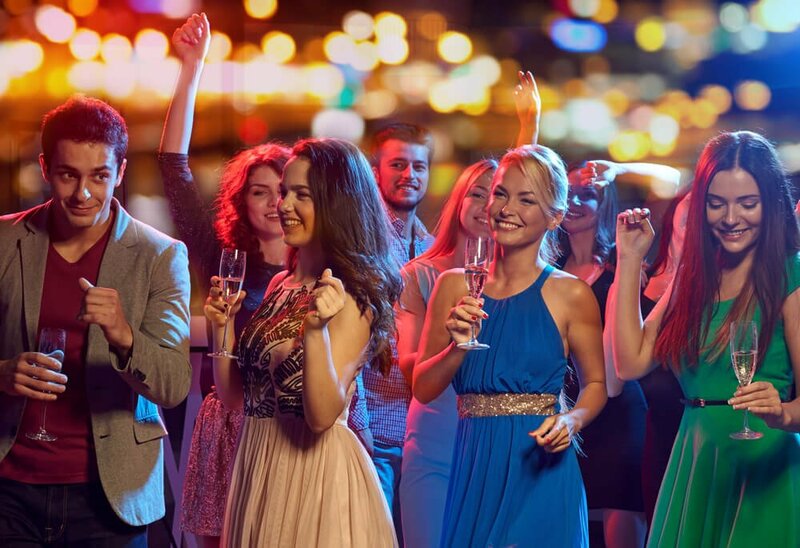 Make the holidays unforgettable with a party yacht rental from Charter One! Are you ready to book your holiday yacht rental event? Keep it local with Charter One cruises and enjoy all the great things that South Florida has to offer. If you are organizing a special holiday event you will find that our yacht rentals are the perfect venue. With autumn and winter fast approaching, now is the time to start planning for the special events of the season. Holidays are extra special when you rent a yacht for party, where you can celebrate while cruising along the beautiful Florida waterways. Whether it’s a Thanksgiving feast for family and friends, or a holiday party for business colleagues, our yacht rentals are an impressive and festive way to have fun and make long-lasting memories. There are so many diverse activities happening at this time of year, and a yacht rental would just add to the excitement. We serve all types of parties and events including: Oktoberfest, engagement parties and weddings, Halloween costume parties, holiday bazaars, music festivals, Christmas and Hanukkah parties, New Year celebration, and much more. Whatever type of event you plan to have, we provide the talent and resources to make your party outstanding and affordable. We have many options for you to select from that will work well within your budget, and still create a fabulous yacht rental event. Whatever type of celebration you are planning to have; our event planning experts will create the magic that makes it a reality. We work with established vendors who can provide many resources such as: custom baked goods, photography/videography, floral decor, tableware and linens, decorations and props, bands and DJ’s, children’s activities, and other types of entertainment for you and your guests to enjoy. Creating a magical event takes a good team to plan it out and execute it, and our team is the best. If children are attending your yacht party, you may be interested in games and activities that children love. Face painting is fun and learning how to make balloon sculptures will have the children intrigued. Games, contests and karaoke are also fun for young and old alike. Your yacht rental is a great venue for a costume party theme, casino gaming night, romantic dancing under the stars, or an awards dinner for your club or business. This year you can rent a yacht for a party and have a unique and exciting adventure. So prepare your guest list and send out your reservations, because your holiday yacht rental is about to commence. Charter One provides a multitude of convenient dock locations to embark ship in Miami-Dade, Broward and Palm Beach County. You may be interested in hosting a cocktail party where guests can mingle with one another, and explore the different areas of our gorgeous vessels. You can also opt for a buffet-style dining experience, or if you prefer a formal sit-down dinner with all the extras. We offer superb five-star cuisine prepared in the galley aboard ship by our celebrated chefs, in a variety of ethnic menu selections. Our menus range from American, Thai, Italian, Asian and more, and we can customize a menu just for you. We also have add-on stations such as: Viennese Table, Cappuccino Station, and assorted fish, meats, fruits, vegetables and more. You and your guests will love the variety of our fresh and delicious cuisine. When you rent a yacht for a party with us, you get to select which one of our vessels best suits your needs. The Grand Floridian is a spectacular 128 foot yacht with four decks to roam, and comfortably accommodates up to 550 guests. This luxury yacht has modern amenities, multiple dance areas, and is equipped with a state of the art media system and 13 high definition televisions for you and your guests to enjoy. The Summer Wind is a regal beauty that can easily accommodate up to 60 guests and is the perfect venue for a more intimate yacht rental party. Both vessels have custom full-service bars and ample indoor and outdoor seating. If you are interested in one of our yacht rentals for your next holiday party, contact Charter One today at: 954-771-0102.